A great many of the companies that exist today have developed from family-owned companies. They are the backbone and driving force of the German economy. Just as August Oetker, shareholder of one of the best-known family-owned companies in our country, said, your risks, as well as your opportunities, are in your family. Family structures change over time and not least pose new questions to corporate succession. We accept this challenge together with you and our competent partners. Finding suitable succession provisions initially requires comprehensive analysis of your company and its structures: is the company run by the owner or a management board? How and when should it be transferred? Will there be a complete sale or a prorated graduated transfer? Only once these questions have been answered and all parties agree on them can corporate succession be tackled. With a view to succession, corporate analysis often brings up the question of whether the existing company form will remain the right one after the transfer as well. We will review the various design options and, in the scope of this, any existing succession clauses in the articles of association in light of tax optimisation as well. In every phase – before, during and after transfer– a responsible entrepreneur should have drawn up a testament. Only this will ensure that the company will remain able to act and protected even in case of sudden death. Disposals due to death should only be made in coordination with the articles of association, since company law takes precedence over inheritance law. If the articles of association stipulate, for example, that company participations can be transferred only to offspring by way of advanced inheritance, the spouse has no right to succeed. If the spouse is nevertheless determined as the successor, compensation claims may arise that may endanger the company's existence. This can be avoided by proper design. Immediate measures are required to keep the company able to act if an entrepreneur is unable to do so due to illness or accident. If no proxies have been set up to continue to operate the company, a court will appoint a custodian. We help you avoid this – by timely planning and individual implementation of the entrepreneur's wishes. Finding the right successor is only possible through a corresponding profile and clear stipulations by the parties. Individual contracts cover all risks for successful transfer. An asset deal transfers all assets of a legal owner to the acquirer. In the Share Deal, the purchaser only acquires shares in the company to be sold. The idea of continuity through generations that is reflected in continuation of a family-owned company is also expressed in corporate succession. This is just as important for craftspeople as individual entrepreneurs as it is for large capital companies. Both have a vital interest in preserving the work of their lives. Succession can be made difficult by the many options for transferring a company within a family. We will find the right solution for any family structure, if applicable with the involvement of psychologically trained coaches. A family charter is particularly important in family-owned companies. It sets out the moral framework and records shared interests and individual values for cooperation within the company. In addition to the articles of association, the family charter is compiled as a basis for the culture and strategy of the individual family-owned company. We will help you with advice and action. Responsible corporate succession requires review of the personal situations of the transferor and the transferee. After all, the transferor wants to be secure in old age and have a good pension. The transferee must know that the company's existence is not endangered by divorce. The situations of both parties should be designed in a tax-optimised manner as well. Rights and obligations from employment continue unchanged initially, no matter if the legal succession takes place during the transferring person's lifetime or by way of inheritance. The successor must deal with the existing employment. Proper restructuring is usually to be performed by a due-diligence review that carefully analyses all strengths, weaknesses and risks. Family entrepreneurs have invested a lot of time, work, strength and heart's blood into building their operation in the course of the years. By transferring it to a successor– family members, investors or competitors – it is implied that the entrepreneur is interested in long-term continuation of the business. That makes this step all the more important. Many legal and personal questions are connected to securing corporate continuation as such, the persons in the company's management or fair distribution among all heirs. This is about transferring the corporate and ownership functions to the following generations, which requires well-founded specialist knowledge. Three quarters of family entrepreneurs desire family-internal succession. The background for this is continuity within the family and the idea of founding identity. Profitability is less relevant than the company's purpose. Various problems may result from this, however. The overlap between the corporate and private spheres requires clear structures. Unprofessional transfer may lead to a management vacuum. The professional and social competence of the successor should be reviewed and assured with care. Payments made to other family members, obligations under tax law and pension provisions made for the person leaving the company may pose a lot of stress for the successor. Strong changes on the market, among customers and suppliers and in the competitive environment can put a strain on the succession situation. Unexpected situations or stress may occur in the transfer process, which must be handled by the successor. Each of these options has its justification and should be reviewed from case to case. The options that are suitable for you specifically can be discussed between us. 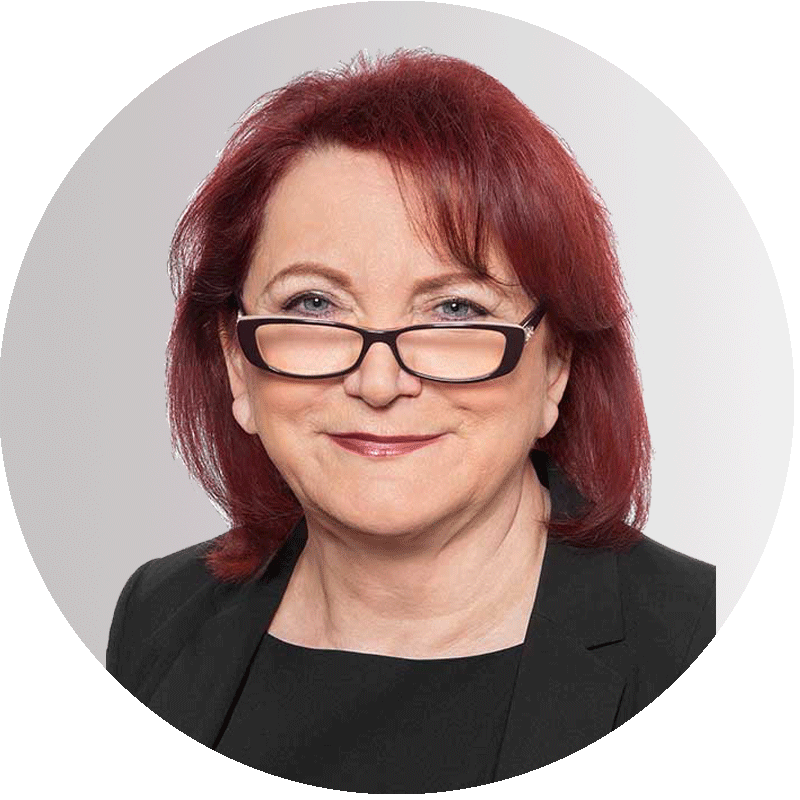 Certified corporate succession consultant Renate Maltry, specialised partner lawyers, tax advisors and public accountants bundle their competences in an interdisciplinary manner. This way, we offer consultation under family- inheritance and tax law as well as economic and social aspects from a single source. Preservation of family-owned companies is just as important to us as it is to you. Specialist lawyer in family law and specialist lawyer in inheritance law, certified corporate succession consultant ZentUma, certified executor AGT e.V.